The fabulous life of the gaucho poet Hilario Ascasubi seems to have come directly from the pen of a 19th-century Romantic writer. The story goes that Ascasubi was born in Córdoba in 1807 aboard a covered wagon. At the age of 5, he rode alongside the then Coronel José de San Martín. And when he turned 14, on a whim Hilario embarked on “La Rosa Argentina” & sailed for over two years around the world. 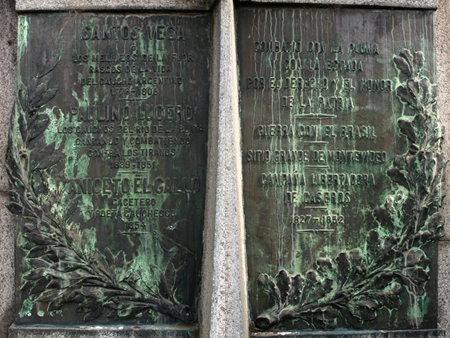 In 1825, he enlisted as a recruit in General José María Paz’s forces to fight against the Spanish. It was there where Ascasubi began to compose verses to entertain his companions. 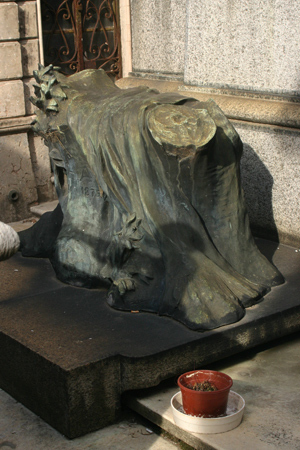 Shortly after, he met Facundo Quiroga in Tucumán. 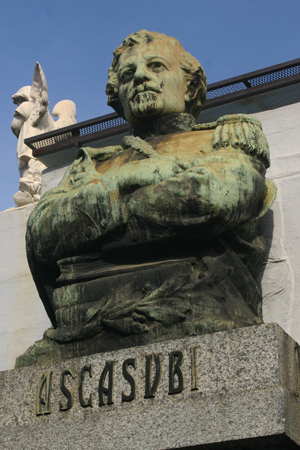 When Rosas came to power, Ascasubi wrote satires against the “Restorer” which got him two years in prison. After his release, he lived in exile in Montevideo for the next two decades… the time when his literary expertise would make him famous. 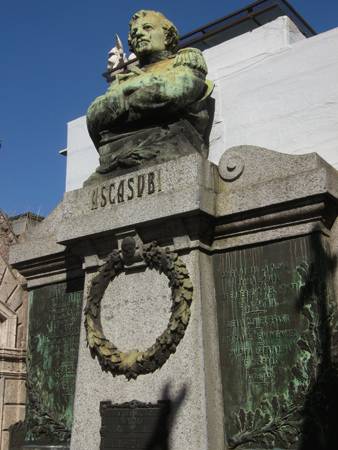 Ascasubi returned to Buenos Aires in 1852, & the following year edited the satirical newspaper “Aniceto el Gallo.” A few years later he spent almost his entire fortune in building the first Teatro Colón on Plaza de Mayo. Gracias por toda la información y las fotos.